Often I am asked how I come up with the ideas for my writing projects. The answer is not an easy one. Simply put, the idea comes to me. I do not go in search of the inspiration; it hunts me down, sometimes with a velvet whisper, other times like a relentless hound. Once the inspiration catches fire, it burns with an intensity that does not permit me much sleep or the leisurely, orderly routine of life that means so very much to me. At the end of the summer of 2014, I wrote the poems that formed the volume, “Lilacs in Bloom.” By the spring of 2015, the lilacs about which I’d written were in bloom and the poetry volume was e-published. I then took the opportunity to “mark” psychological time – to pause and reflect upon how I had grown as a woman and as an artist since those verses were penned. I realized that the themes of many of the poems were prophetic, perhaps in anticipation of emotions on the verge of being fully felt. 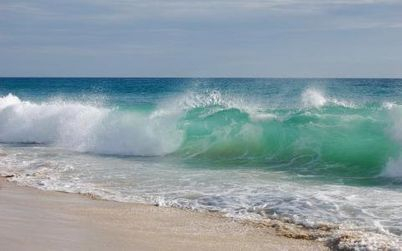 I liken a poem to a wave that must reach the shore, surge toward its destination (its highest mark or high-water mark), and then recede into the ocean of consciousness that takes the writer through every-day life, albeit altered in some way. Writing is a solitary venture but it cannot happen in a vacuum. The person who wishes to be an island in order to write will find only frustration and the emptiness of the self-absorbed ego, an imprisoned soul that wants to reach out toward his fellow man but has not the courage to risk feeling the pain that his fellow man feels, or the pain that his fellow man might cause him, the “writer,” to feel. Sensitivity is not a one-way street. The sensitive artist who is “all nerves” is, in reality, a stone-cold coward. I know whereof I speak. My years as a solitary woman who was, at times, homeless, taught me that there are innumerable types of people, but there are only two kinds of “artist” – the real one and the pretend one. The real one hesitates to call herself an artist; the word often sounds pretentious and can approach the cloying scent of too many lilacs in bloom. The pretend one won’t let you escape her or her “artistic” self! Many years ago I experienced (there is no other verb that can be used with such accuracy) a much older, though not mature, woman in a creative writing class. She thought herself ravishingly chic, marvelously witty, the toast of the town (it did not matter what town it was; she was its toast). I was but a teenaged-trinket of trifling talent, at least in her viewpoint. And her view pointed at me, directly and often. Privately, to another student in the class, I called this woman “Tawdry Audrey.” This other student perhaps mentioned this nickname to this nouveau-riche neophyte of sycophantic smile, Bohemian dress, and salt and pepper hair (more salt than pepper), arranged in a bun in an attempt at sophistication. Tawdry Audrey thereafter pointed her view at me more directly and more often. I ignored her. She then trained her insipid insights on someone else. Not the daughter of the U.S. Ambassador, and certainly not the daughter of the famous U.S. Senator. And not even the pert fortyish housewife from the affluent side of McLean, Virginia; that woman was too alert, quiet, studious, and smart in her seersucker blue and white pants and navy blue cardigan. Tawdry Audrey and her unveiled insults headed straight for the other female Nobody in the class, the one to whom I’d mentioned the nickname. I proceeded to observe another female “character” in this writing class: an elderly woman who was indeed mature and would not live much longer. She was quite wealthy; filthy rich would be the class-ist term. I shall refer to her hereinafter as Mrs. Money. Mrs. Money was the widow of a very prominent and wealthy man; she was also the former personal secretary of a powerful U.S. Congressman who had retired, perhaps at about the same time that her husband died. I’ve never gotten personal, gossipy facts correct. The writing of Mrs. Money dripped with guilt in the same way that her diamond bracelet, genuine fur coat, and the black limousine that brought her to the smelly classroom dripped with wealth. The smell that simply reeked in this classroom was the white acrid odor of lime cement from a construction worker for The Metro. This tall, hunky blond male took a literature class in this room and left a rather thick deposit of the stuff behind him. I was the only one in this evening writing class who also took the American Literature class in that same classroom and “experienced” Limey. Mrs. Money could, in spite of her guilt, and in spite of her wealth, write. 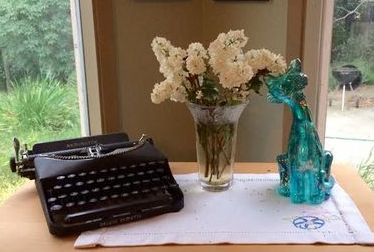 She wrote with a passion that was concise, strong, and steady, quite unlike her thin, trembling hands as they tried to take off her coke-bottle eyeglasses or light a cigarette. Oh, yes, in those days, the public creative writing classes contained more nicotinic smoke than the smoke-filled rooms of the politicians who would, one day (or night) outlaw smoking in public rooms. I was a young student of life and of writing in those days, and although in many ways I was wise well beyond my years, I nevertheless had far more questions than answers. Sometimes I felt that questions were all that I had. But I did know enough to know when someone else knew a lot. And I knew that Mrs. Money knew a lot about conscience and caring, the weight of days that were not filled with happiness, the emptiness of nights that were too filled with whispers of promises that never came true, not because the man did not love her, but because he did not love her enough to possess the courage to let her go so that she could smell lilacs in bloom. Mrs. Money had watched her lilacs in bloom wilt and fade, their scent passing away from her in the way that the smoke from her fifth cigarette that night faded into the mix of all of the other shades of gray and white and yesterday. She’d had her opportunities, many opportunities, some of them glorious, some inglorious. And she’d taken just about every opportunity that had come her way. Every one except the one that would have mattered most – the chance to fulfill whatever would have defined her as the human being she was born to be. Neither money nor fame nor power nor possessions had brought happiness to this woman who seemed a kind soul. She never said a word to me, and I never said a word to her. I watched her, but she watched only her platinum watch and the pieces of paper projecting before her dimming eyes and the despairing professor who innately understood her days on this earth were numbered. His days were numbered too. When I last saw Mrs. Money, she was once again stepping out of her shiny, large, black, chauffeur-driven limousine that stopped traffic in the only direction of this one-way street. Her fur coat trailed behind this woman as her petite, frail body slowly climbed the worn brick steps to the glass door of the small, whitewashed brick building that housed the English Department. Mrs. Money had come a long way but now was riding a short distance to go slumming. Later, these “sensitive artists” crowed about the shining crystal and the sumptuous food and the elegant furnishings in her spacious suite. They bragged about how easy it had been to pilfer the prescription drugs from her medicine cabinet. I did not believe for one minute that they fooled this woman, but I did believe in a New Jersey minute that Mrs. Money was too good and gracious a person to mention their theft to anyone. Mrs. Money had morals, something those mollycoddled counterfeits couldn’t pilfer or buy or fake. And Tawdry Audrey took a back seat to her. She shut her trap so that this small, strained woman could read aloud to the class the writing that had been wrenched out of her heart and soul. I did not want to write like her; I did not want to ever be in a position of having to write like her – grief-stricken, haunted, hurting, harrowed, and, most of all, unsure of whether or not this expiation of guilt would do her any good. I wanted to point her toward a priest. Not being a Catholic, I couldn’t have done so and probably wouldn’t have even if I’d felt up to the task. The matter of lost souls was quite beyond me in those days. I was trying mightily not to become a lost soul myself. When I read, decades later, of the magnanimous gift bestowed by this sorrowful woman upon her English professor, I realized that she’d given far more than she’d gotten from him. Mrs. Money gave the gift of gratitude and recognition to a man who had received very little of either reward in his life. He did not deem her a highly talented writer but he knew that she wrote from the heart and he’d wisely assessed that heart as brave and big. At long last, she’d found the inspiration for lilacs in bloom. She’d not been in search of them, but somehow they’d found her. Their sweet smell of success was, for Mrs. Money, the road to redemption. And their scent was heavenly.